The Champion Mindset® Motivation Centre is owned and personally managed by Australia’s leading motivational teacher and success coach, Shelley Taylor-Smith. Shelley Taylor-Smith ... Inspirational..... Passionate ... Patriotic ... 100% Australian ... Rotary International Paul Harris Fellow recipient, is a respected Motivational Keynote Speaker, Seven-time World Champion marathon swimmer, and International best selling author and Business Trainer. Shelley has proven that any ordinary Australian can achieve extraordinary results; that a Champion Mindset® can make a difference in your life, career and business. As the founder and director of Champion Mindset® Consulting, Shelley works with small businesses and individuals to achieve success and peak performance removing the blockages that stop people from achieving. Creating Champion Mindsets and empowering people to become Champions in their own world is Shelley’s biggest passion and life mission. She has worked with major Corporations through to long term unemployed and Olympic athletes. The common link with these extreme groups is often a loss of focus, not knowing what they want and a belief that you have to be one of the lucky few to be a Champion and have the life you have always dreamed of. Champion Mindset® Motivations ‘taylor-made’ personally by Shelley; designed to energise you, inspire you, motivate you and invigorate you for success! Of course if you need a kick in the pants, a reminder how good you've got it....or a little shove to get you up, get over it and get on with it.... then you these motivations will do just that and more. The Champion Mindset® programs are suitable for businesses and individuals; CEO's, corporations, partnerships, sales teams, small to medium business owners, sportspeople, entrepreneurs, educators and 'every day' people alike. My commitment is to empower people to believe and become Champions of their own world. When individuals believe they take action and personal responsibility for making their lives work, everyone benefits. I am convinced our workshops, courses and programs, together with the lifestyle success coaching, our weekly Champion Motivations e-zine and the resources available to our Champion Club members teaches the tools to create a positive attitude, focus and commitment with motivation and passion. 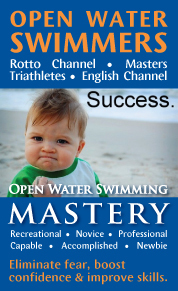 These tools I developed as a World Champion swimmer and taught to our clients, provide the regular, cost-effective support, motivation and practical strategies that thousands of you have been asking for. Add to this the extensive and growing range of articles on topics related to lifestyle coaching intended to help motivate you, and we are really building a resource that we hope will prove to be of real value to all our users, but most especially to our loyal Champion Club members. It is what we stand for, the Champion Mindset®. Champion Mindset® Consulting is committed to teaching individuals ‘how-to’ succeed at what is most important to them. 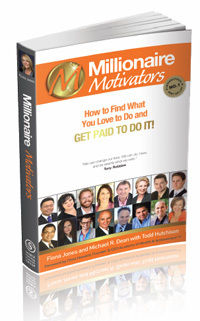 Learn how-to find what you love to do AND GET PAID FOR IT!